It is 2018, so why isn’t my ERP modern? Why multi-tenancy matters! Your business, competition, and industry are changing materially and frequently, but, sadly, not all of your technology partners got the memo. 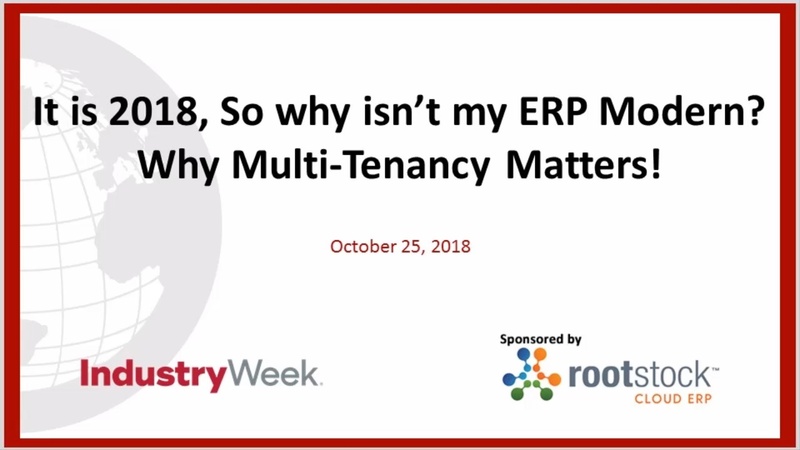 In fact, some ERP vendors have been dragging their feet when it comes to cloud, multi-tenancy, and other innovations. As your organization embarks on its modernization journey, what should you use as your transformation yardstick?